SHOW LOW, AZ - One of Arizona’s most endangered species is struggling to gain a foothold in spite of extermination campaigns, wildfires and a difficult conflict with ranchers. Fewer than 60 Mexican gray wolves exist in Arizona’s White Mountains which lie along the border with New Mexico. The wolves live in and around and area known as the Blue Range Recovery Area. That was ground zero for the Wallow Fire. The largest wild land blaze in Arizona history scorched more than 500,000 acres. It swept through Blue Range and right over the wolves’ dens. While residents in towns like Springerville and Eagar were busy evacuating and worrying about their homes, personnel with the Arizona Department of Game and Fish were concerned how the fire would impact the critically endangered wolves. “We were concerned,” said Chris Bagnoli, a wildlife officer who has been working with the wolves since they were first reintroduced into the surrounding mountains in 1998. “We didn’t know what the impact would be. The pups depend on the other adults in the pack for food, warmth and for protection," he said. During the fire, Bagnoli housed co-workers at his home and journeyed behind the fire lines to observe the wolves. Since many of the animals wear collars equipped with radio or satellite transmitters, Bagnoli’s team was able to track the wolves without visually observing them. “What we found was that the adults were taking the pups out of the dens and moving them to safer locations," he said. That was good news, as the future of the Mexican gray wolf rests with the pups. Wildlife officials and wolf advocates were biting their nails as the thick smoke and flames ate away at the wolves’ environment. While the news seems to be good, there is some concern. 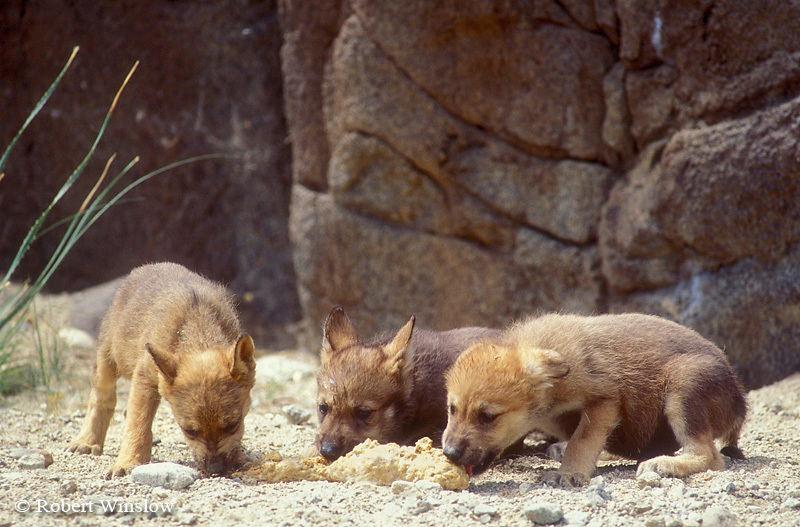 “So far, we haven’t seen any of the pups from the Rim Pack,” said Bagnoli. “It’s possible they perished in the fire, but we’ll never know for sure," he said. The fire, as it turns out was a threat, but perhaps not the biggest one to face the species. The wolves have fought back from near extinction after being reintroduced in the White Mountains in 1998. Responses to "Endangered wolves face uphill battle after Wallow Fire"